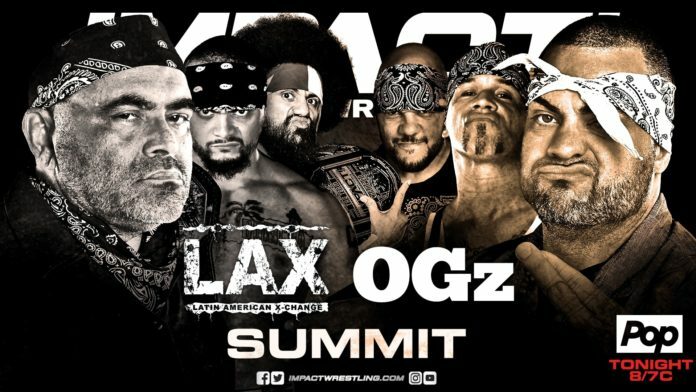 Impact Wrestling Announces Rules For "Concrete Jungle Deathmatch"
Tonight’s Concrete Jungle Deathmatch at Bound For Glory will be contested between Konnan and LAX against King and the OGZ. Impact Wrestling recently unveiled the unique set of rules for the match. The ring mat will be gone, exposing just the boards underneath. Also gone will be the turnbuckle coverings. Josh Mathews goes into greater detail regarding the stipulations in the video below. The unique gimmick match comes by way of an order from a crime boss. King would later admit he put a hit out on Konnan and that he feels Konnan leaches off of the talent he represents. Konnan recently returned to the ring for Major League Wrestling in their Battle Riot event. This will be the first non-battle royal match for Konnan in over 5 years, however. The event takes place at 8 PM inside the Melrose Ballroom in NYC.